On this page there are some kinds of pupil’s furniture: pupil's tables (pupil’s desks) and pupil’s chairs (see also 8 types of pupil's sets). Pupil's furniture is intended for equipment of one or two pupil’s workplaces at schools and other educational institutions. The chair is with constant parameters. 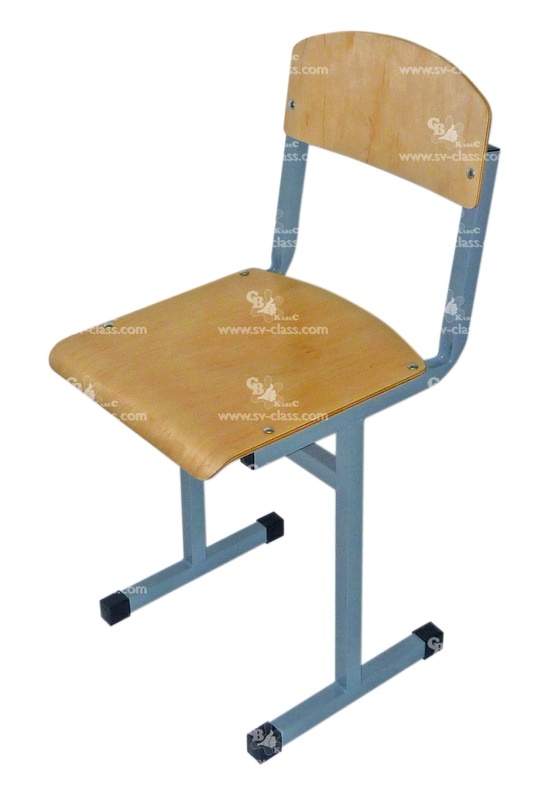 It has a metal framework to which a backrest and a seat are fastened. 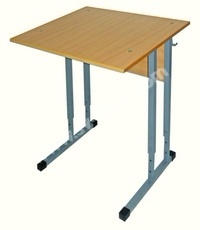 The product has physiological bends and angles of tilt which size corresponds to all GOSTs. 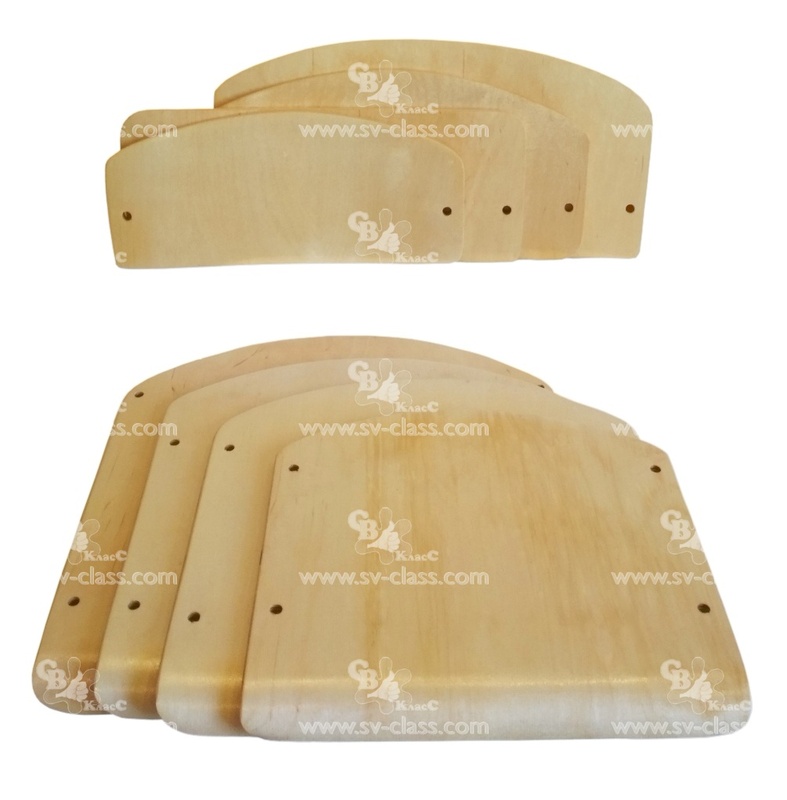 Material of the seat and the back: shaped plywood, varnished with transparent lacquer. Material of the framework: metal pipe of square cross-section 25х25 mm with polymeric covering of grey color. 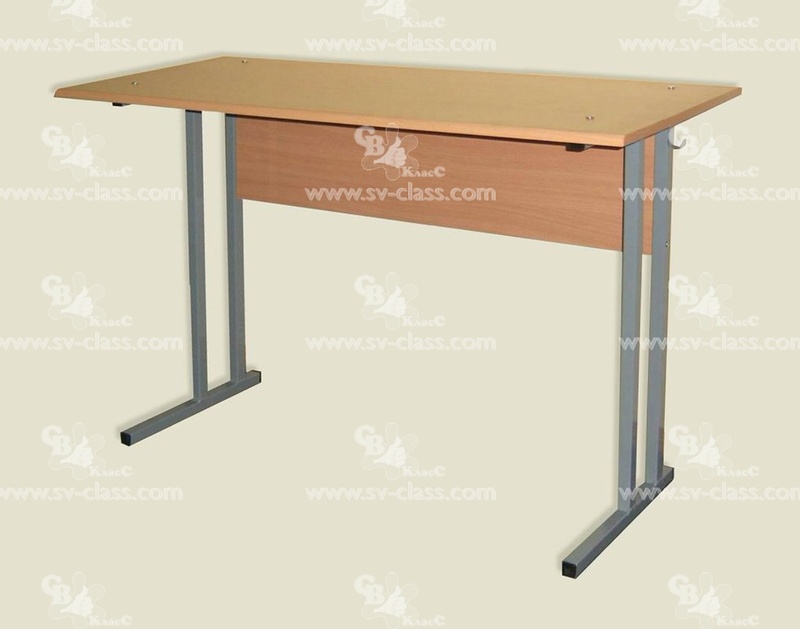 The chair is with variable parameters for three height groups. 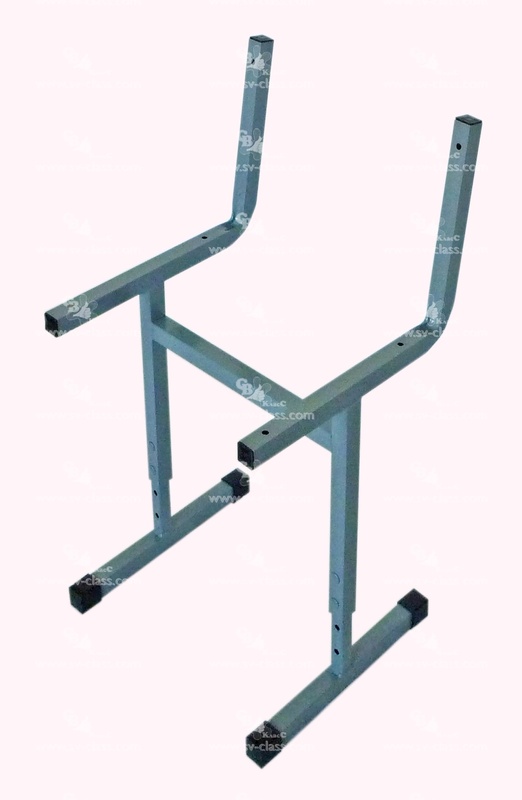 It has a metal framework to which a back and a seat are fastened. 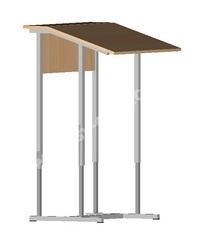 The product has physiological bends and angles of tilt which size corresponds to all GOSTs. 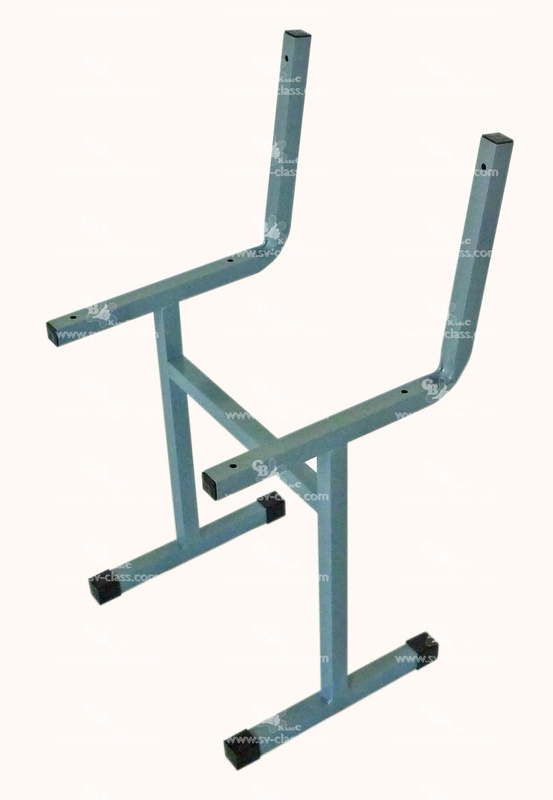 Material of the framework: metal pipe of square section 25х25 mm and 20*20 mm (in the places of adjustment) with polymeric covering of grey color. The table is with constant parameters. 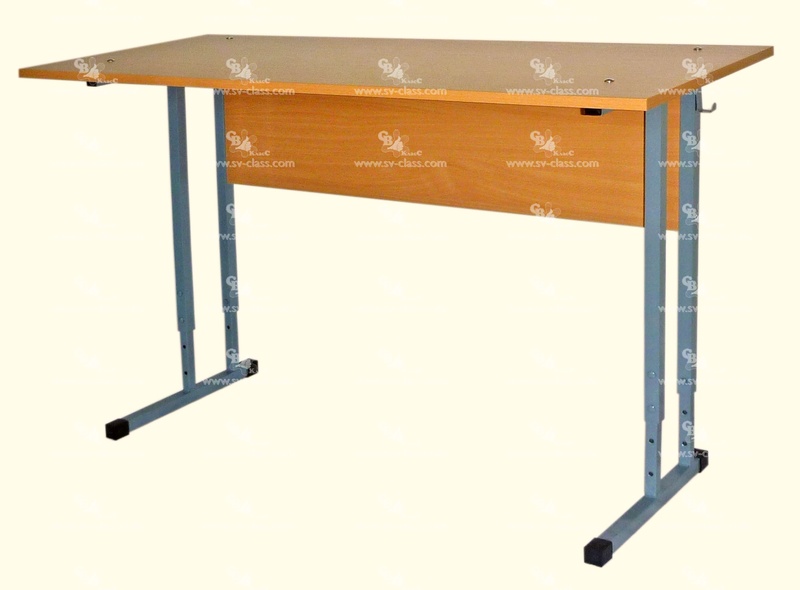 It has two lateral metal supports to which a horizontal top and a vertical front board (the element of rigidity) are fastened. A hook for a bag or a briefcase fastens to every support. 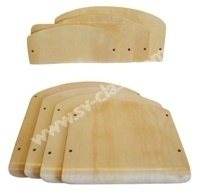 Material of the top: laminated chipboard (the color – beech), 2 mm PVC edging. 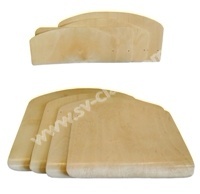 Material of the front board: laminated chipboard (the color – beech), 0,3 mm melamine edging. Material of the supports: metal pipe of square cross-section 25*25 mm with polymeric covering of grey color. Material of the top: postforming – shipboard coated with plastic (the color – beech), with wrapped edges along the length of the top, 2 mm PVC edging along the width of the top. Material of the front board: laminated chipboard (the color – beech), melamine edge 0,3 mm. Sizes: 1200*500 mm, the height according to 2, 3, 4, 5, 6 groups of height (5 standard sizes). The table is with variable parameters for three height groups. 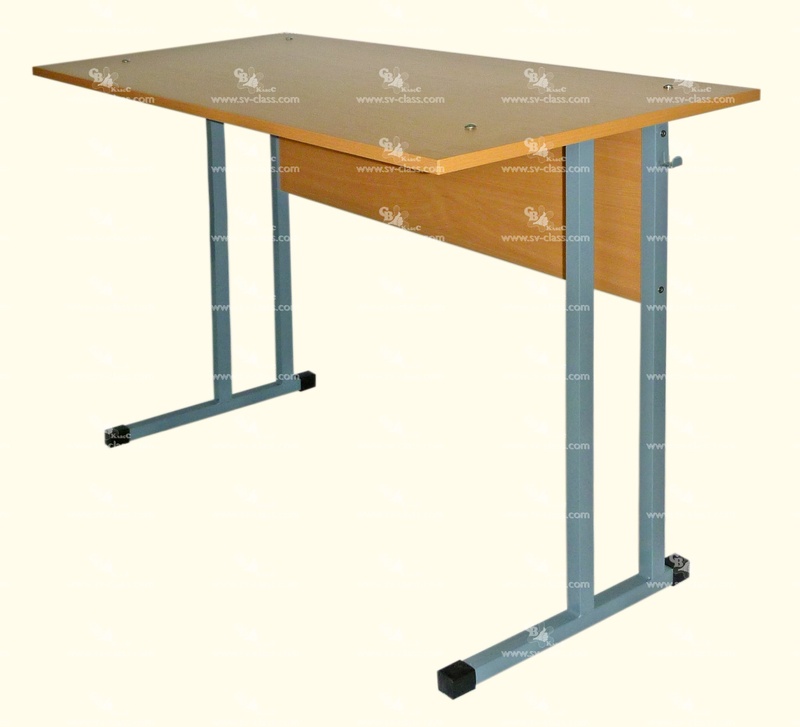 The table has two lateral metal supports to which the horizontal table top and the vertical board (the element of rigidity) are fastened. 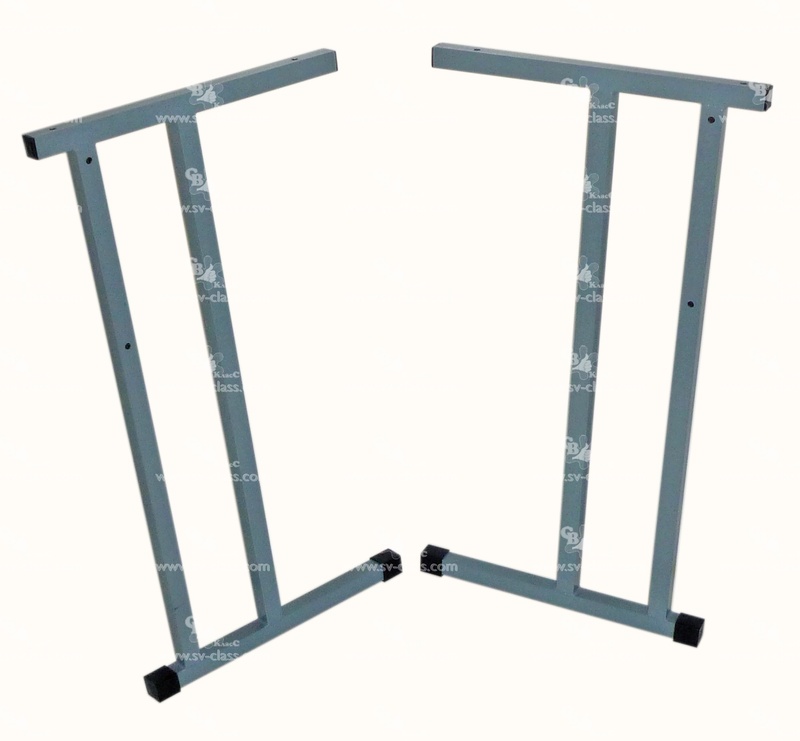 The supports have variable vertical sizes. A hook for a bag or a briefcase fastens to every support. 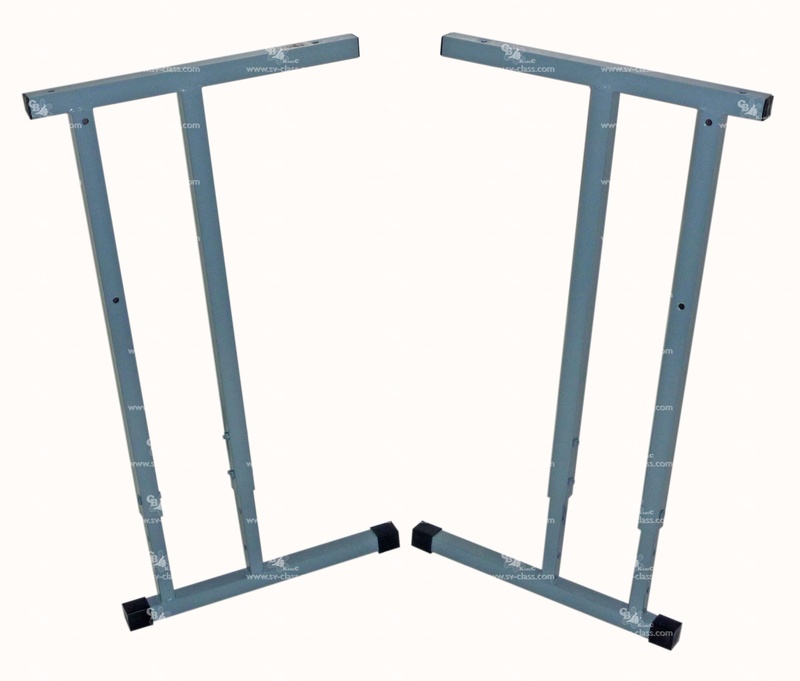 Material of the supports: metal pipe of square cross-section 25*25 mm and 20*20 mm (in the places of adjustment) with polymeric covering of grey color. Sizes: 1200*500 mm, the height is adjusted according to 1-3 and 3-5 groups of height (for primary classes) or to 5-7 groups of height (for averages and the senior classes). The table is with constant parameters. It has two lateral metal supports to which a horizontal top and a vertical front board (the element of rigidity) are fastened. A hook for a bag or a briefcase fastens to a support. 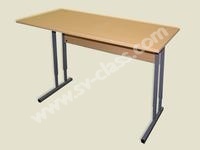 Sizes: 600*500 mm, the height according to 2, 3, 4, 5, 6 groups of height (5 standard sizes). The table is with variable parameters for three height groups. 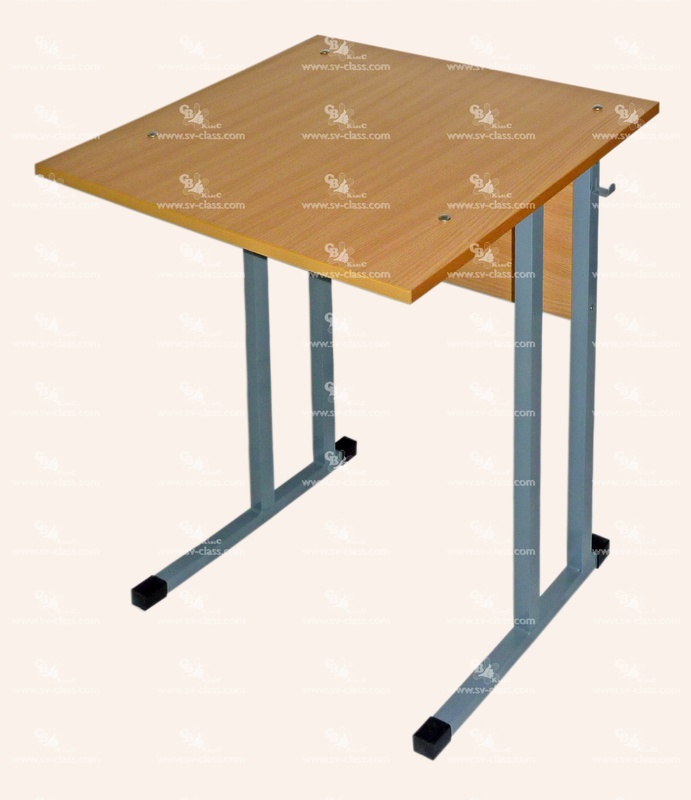 The table has two lateral metal supports to which the horizontal table top and the vertical board (the element of rigidity) are fastened. The supports have variable vertical sizes. A hook for a bag or a briefcase fastens to a support. Sizes: 600*500 mm, the height is adjusted according to 1-3 and 3-5 groups of height (for primary classes) or to 5-7 groups of height (for averages and the senior classes). The table is with variable parameters for three height groups. The table has two lateral metal supports to which the horizontal table top and the vertical board (the element of rigidity) are fastened. The supports have variable vertical sizes. The kit includes two hooks for hanging a bag or a briefcase that fastens to every support, and two trays for writing supplies. The table is with constant parameters. 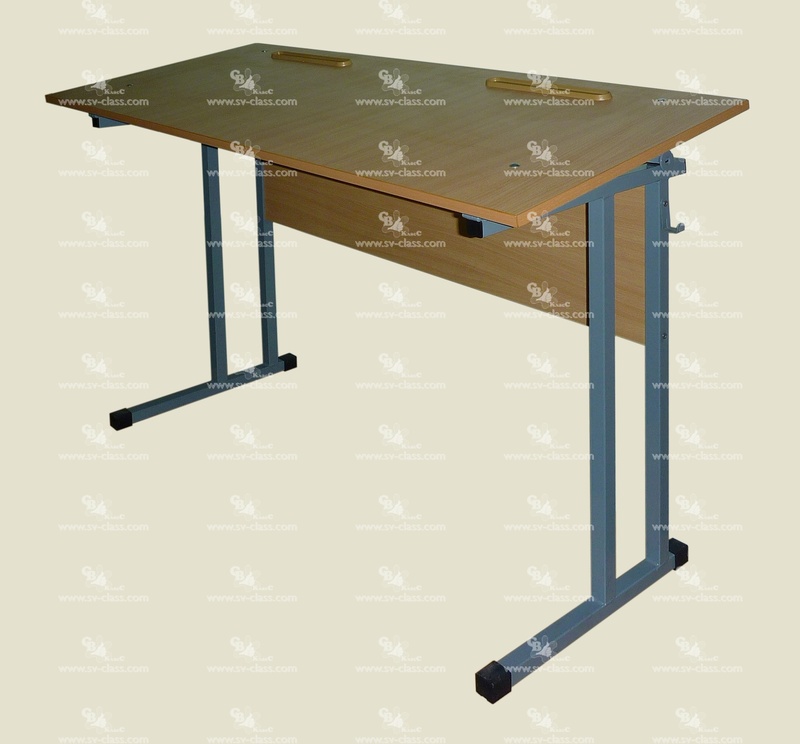 It has two lateral metal supports to which a horizontal top and a vertical front board (the element of rigidity) are fastened. The kit includes a hook for hanging a bag or a briefcase that fastens to a support, and a tray for writing supplies. 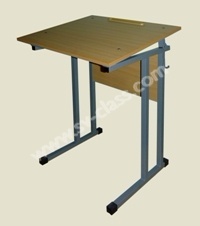 Table has the function of manual installation of the top at an angle of 8°. The table is with variable parameters for three height groups. 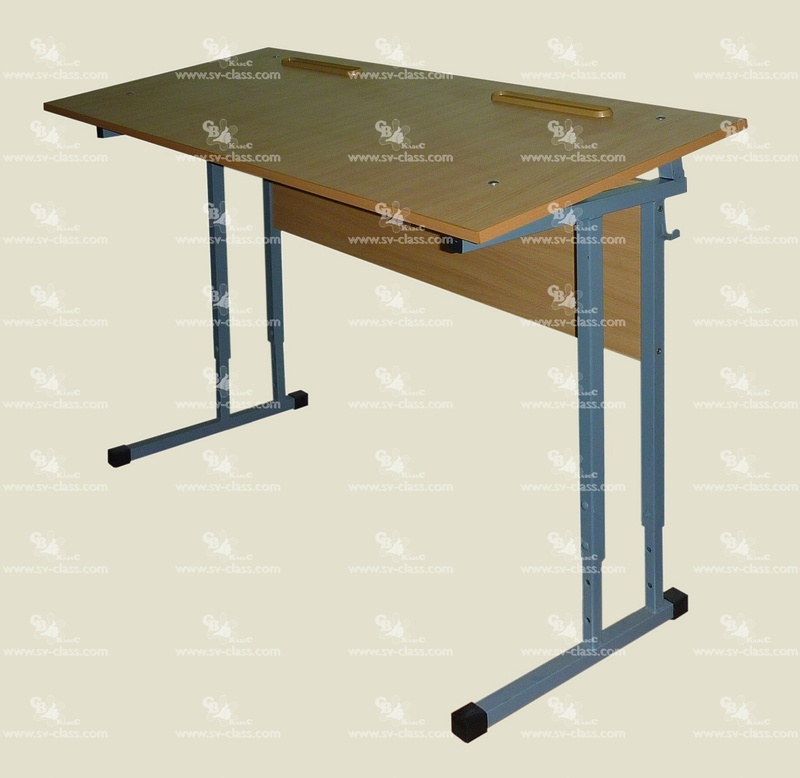 The table has two lateral metal supports to which the horizontal table top and the vertical board (the element of rigidity) are fastened. The supports have variable vertical sizes. The kit includes a hook for hanging a bag or a briefcase that fastens to a support, and a tray for writing supplies. 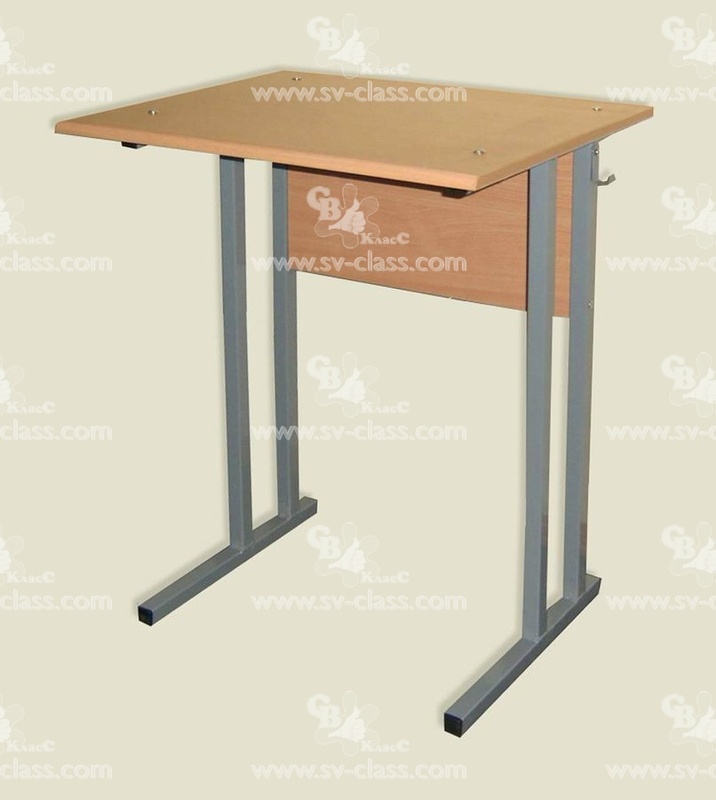 This pupil’s table is intended for the equipment of one pupil’s workplace of the primary school student while standing. The table has the metal framework to which the top and the vertical board (the element of rigidity) are fastened. 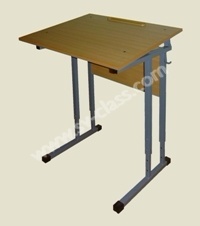 The top consists of two parts: horizontal and inclined (tilt angle - 17 degrees). There is a tray for writing supplies on the horizontal part. 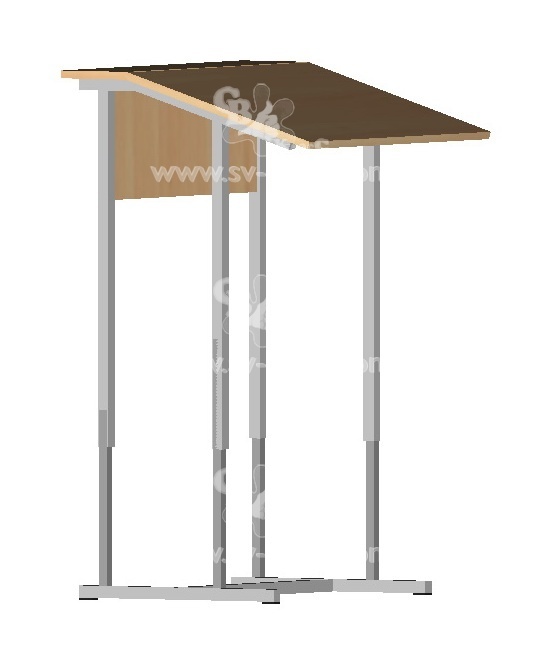 The metal framework is adjustable in height according to 2-4 growth groups and consists of two supports and a base. The base has polymer tips, wich do not allow scratching the floor. 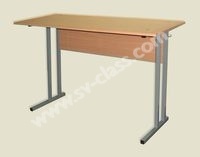 Sizes: 600*700*885/985/1085 mm, the height is adjusted according to 2-4 groups of height (for primary classes). Material: metal tube with square cross-section 25*25 mm. Surface: polymeric covering of grey color. Size: for pupil’s chairs with 2, 3, 4, 5, 6, 7 groups of height (6 standard sizes). 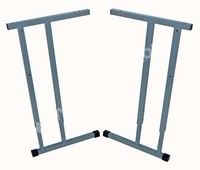 Material: metal tube with square cross-section 25*25 mm and 20*20 mm (at the place of regulation). Size: for pupil’s chairs with regulation 1-3, 3-5 and 5-7groups of height (6 standard sizes). 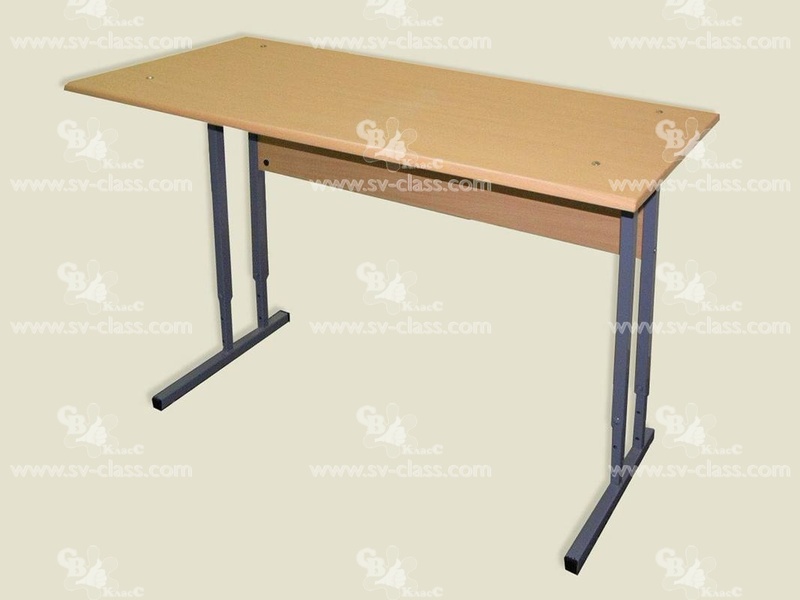 Size: for pupil’s table with 2, 3, 4, 5, 6, 7 of height groups. It consists of a wooden seat, a back and a set of fasteners (6 bolts and 6 nuts, bolt length - as agreed). Note: in the repair set, every detail has only one single technological hole, about 3 mm in diameter. Material: shaped plywood, varnished with transparent lacquer. 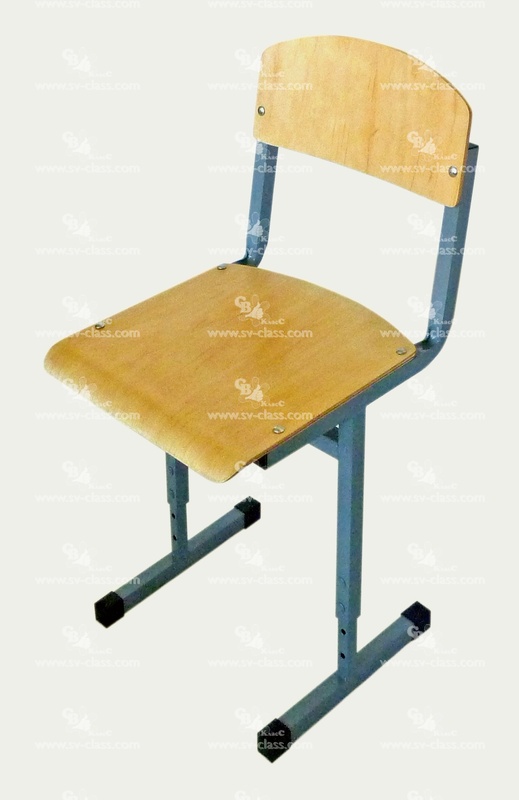 Seat size: 300*270*10 mm, 342*320*10 mm, 342*350*10 mm and 342*380*10 mm for pupil’s chair with (accordingly) 2, 3, 4, 5-6 groups of height. It consists of a wooden seat and a back. Note: in the repair set, every detail has only one single technological hole, about 3 mm in diameter.